: This tour introduces the inspiring towns, culture and the real taste of authentic people. Continue to Shan Hill to explore British Hill station, Kalaw and cruising the Inle Lake by private boat to explore ways of Ihtha life , floating garden and hidden Indein pagoda complex. 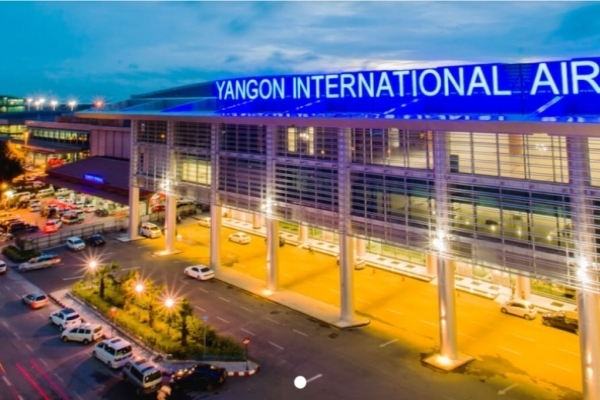 On arrival, meet you at the International Airport terminal and transfer to your hotel. Myanmar's largest and most vibrant city, Yangon is a place that many visitors to Myanmar pass by all too quickly. Its historical importance as a trading post means that for centuries it has been home to a fascinating melting pot of ethnicities and religions, and it is host to the largest number of colonial-era buildings in Southeast Asia. Today, it has thriving cultural and social scenes. 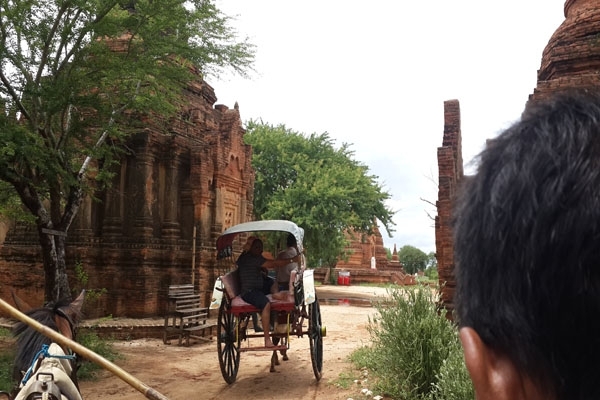 Giving the sense of a meeting of cultures, local experience , this 2,600 year old structure contrasts with fading British colonial buildings – past which you might see monks strolling in their purple robes, or barefoot local people chewing on their betel nuts. Witness the most sacred Buddhist site in all of Burma—Shwedagon Pagoda. . Then, take a stroll to Indian Quarter, the winding city streets and British colonial architecture. A short train ride towards north of Yangon n the afternoon. Observe the activities inside the train equally entertaining to the outside landscapes, local attractions, markets and tiny quarters. Leave the train at at North Oakkalar after 30-40 mins ride and transfer to brilliant local night market at a local quarter where you will find no tourist travelers. 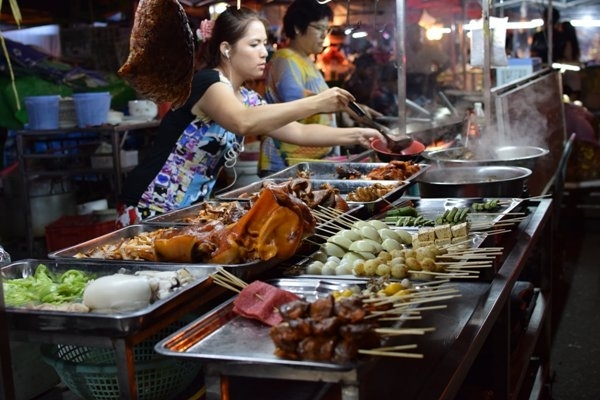 Experience local street foods in the road side stalls together with local draught Beer , vegetable, baked fish and meat sa-tays (BBQ). 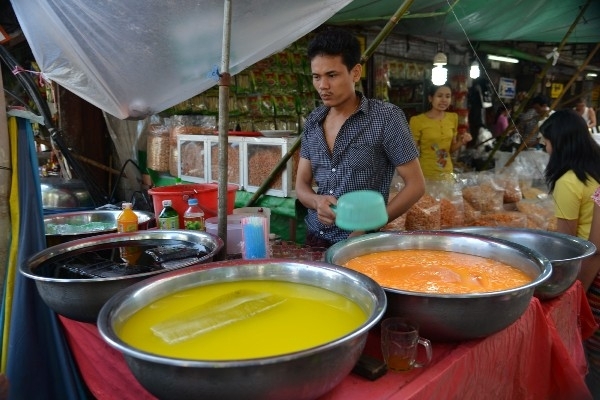 Venture into the stalls selling everything from fresh fruits to local pickle tea salad. Try a range of local delicacies with a couple of local beer and soak up Yangon’s atmosphere at night. 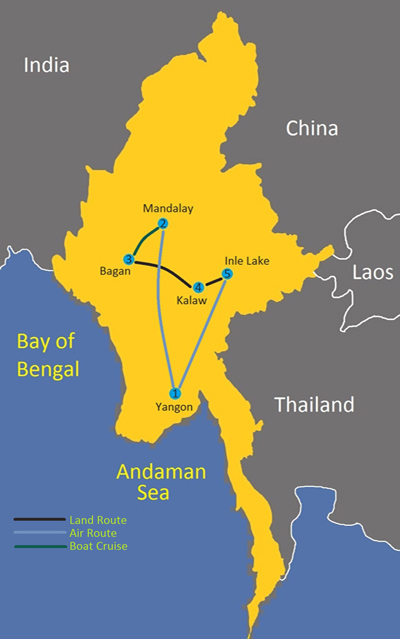 Day 4 Road from Mandalay to Bagan via sightseeing at Mount Popa. Set off 5 hours drive from Mandalay to Bagan. Enjoy beautiful scenery along the way. A stop at Mount Popa, a 1,518m high extinct volcano. On arrival, enjoy wonderful views of the surrounding area. Learn about nats and nat worship as you climb the stairs to the top . The view over the Myingyan Plain from the top of the volcanic peak is very impressive. Then, continue to Bagan passing palm trees lining along the dusty road. On arrival at Bagan, transfer to hotel. Start your exploration of the site with visits to some of the site’s most important monuments such as Shwezigon Pagoda, Gubyaukgyi Temple and Sulamani Guphaya Temple. Continue to Ananda Temple, an architectural masterpiece. Built 1105 AD in the early Mon-style, Ananda contains two unique Buddha images whose expressions seem to change depending on the distance and angle from which the statues are viewed. Afternoon visit to nearby village to learn village life. Observe the process of creating “Poneyay Gyi (pea powder paste) and see how local plum jam is made & packed. The people here are very friendly and will greet you with warm smiles as they going about their business. Sunset from one of the monument and back to hotel. 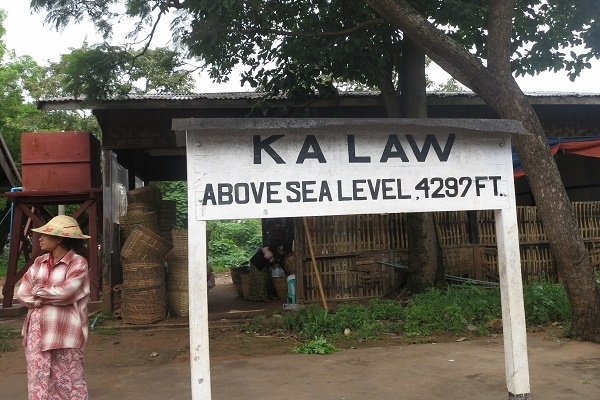 This morning, start the day with a drive towards Kalaw. This road takes you through the dry-zone of Myanmar.The scenery is interesting - endless paddy fields in the morning and rolling hills in the afternoon, as the road climbs into the mountains of southern Shan State. The roads leading to Kalaw offers breathtaking sights of the landscape. 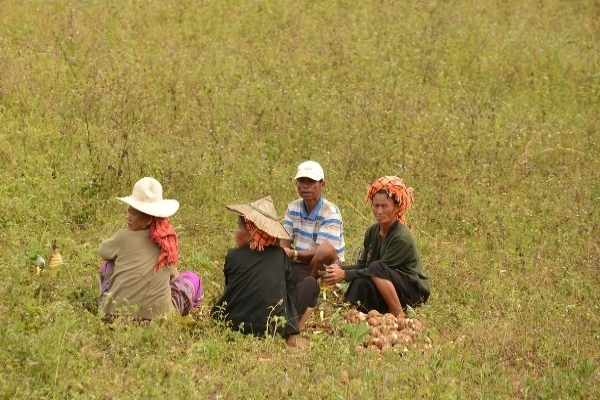 Day 7 Agriculture tour in Kalaw in the morning and continue to Inle Lake. 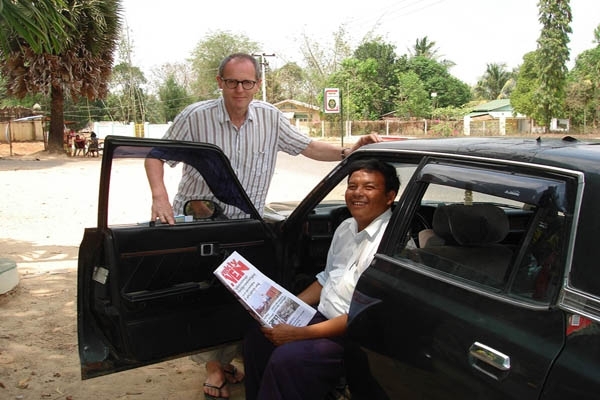 Meet you up at hotel by your local guide to explore Myin Ka’s agriculture production and village life. We will stop at a farm to learn about flower & seasonal plantation growing in this region & then meet the people & curious kids to share the practices of seasonal plantations and farming. Afterwards, a visit to Myinmahti natural sandstone cave which is less touristic before road to Nyaung Shwe, beside glorious Inle Lake. Arrive Nyaung Shwe and hotel check in. 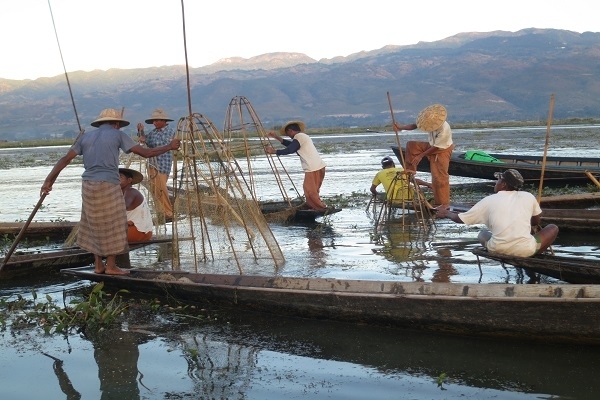 You will be met by local guide to discovery your morning on Inle Lake by boat. See the ‘floating gardens’ where local people use indigenous methods to grow a variety of crops suspended in the water along the way to the morning market which is a chance to meet some of the people who gather here from the surrounding hill tribe villages . We will then pay a visit to a local Intha house where we’ll enjoy some free time for a discussion with family about daily life and culture with a glass of plain tea. In the afternoon, extend your visit to wonder the Phaung Daw Oo Pagoda, the lake’s main sanctuary and witness the unique fishing techniques used by local Inthar fishermen on the way back to the jetty or hotel on the shore. Transfer to Heho airport for flight to Yangon. On arrival, connect your international flight to home.